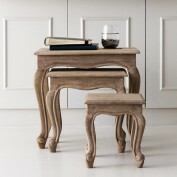 The Colette nest of tables offers the holy trinity of French furniture – three delicately hand-carved side tables in one. 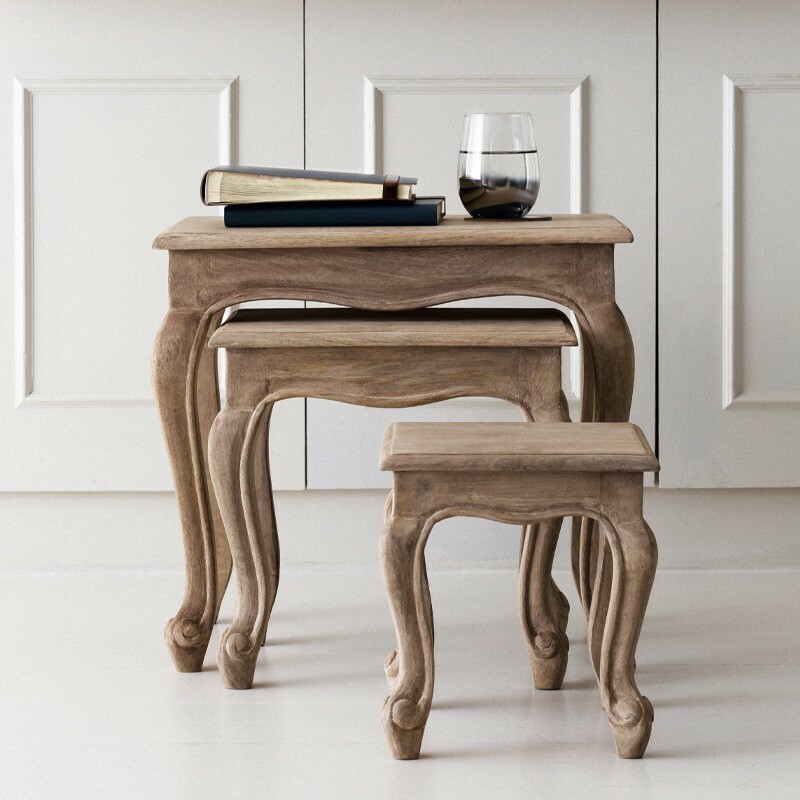 Beautifully crafted in solid mango wood, the nest of tables stands out for its stunning cabriole legs, bun feet, elegant lines and subtle antique wash which showcases the sinuous grain of the sustainably sourced hardwood. Create a focal point by arranging them as a nest or separate them for a co-ordinated look throughout your living room or dining room. A must have for aficionados of French furniture. Dimensions Large: 45cm (h) x 48cm (w) x 31cm (d); Medium: 36cm (h) x 36cm (w) x 27cm (d); Small: 27cm (h) x 24cm (w) x 24cm (d).